When I was growing up, reading the news meant thumbing through the local paper every week on my way to the Sunday comics section. These days, staying up-to-date on world events looks a little different: I skim email newsletters, scroll through social media feeds, occasionally pick up a magazine, and of course, read Google News. As newsrooms around the world keep up with these changes, there’s one team at Google thinking about how technology can help build the future of media: the News Lab. To mark the one-year anniversary of the Google News Initiative, I sat down with News Lab’s director and cofounder, Olivia Ma, for today’s She Word interview. Here’s what I learned—straight from the source—about why Olivia set out on this career path, how she stays focused in a world where the news never sleeps and what she’s reading outside of the office. As the mother of two young kids, I don’t make it to that many dinner parties these days. But if I find myself at a table filled with adults, I’d tell them this: I lead a team at Google called News Lab that works with newsrooms across the globe to help them navigate the transition to a digital future. In the early days of News Lab, we focused on training journalists to use our products that helped them tell stories, such as Google Trends and Google Earth. Now, we immerse ourselves in the needs of journalists, publishers and news consumers so that our engineering teams can build better products. Every day we work to answer the question: How can technology play a role in helping newsrooms grow their audiences and build sustainable businesses? What initially drew you to journalism? My dad spent his career working as a journalist at publications like Newsweek, U.S. News and World Report and The Washington Post. As a kid, my class would visit his office to learn about how magazines and newspapers were printed—the old fashioned way, with ink and paper. It wasn’t until college that I also caught the journalism bug, and I decided to dedicate my career to tackling the tricky challenges facing the news industry. 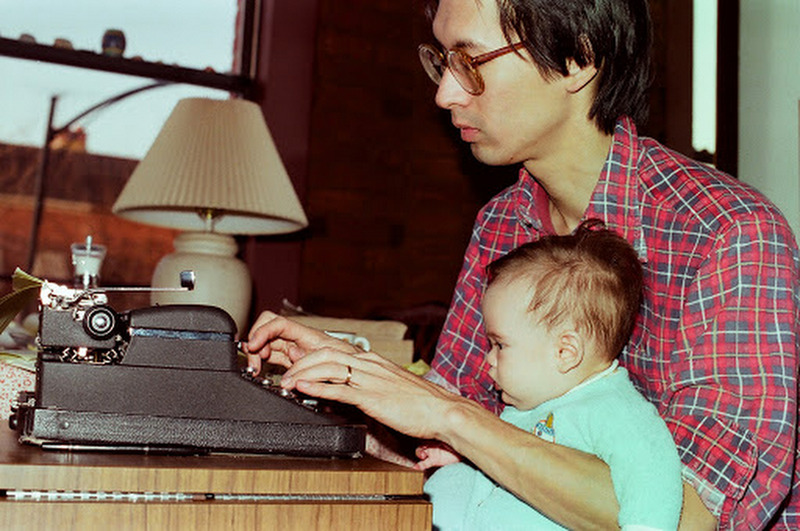 By that time, my dad had started working at The Washington Post where he helped transition the newspaper online. 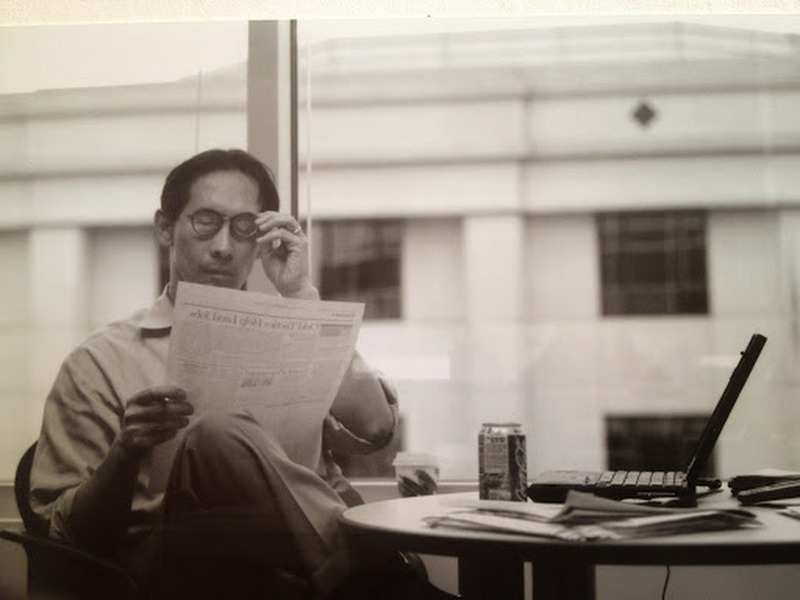 Up until he passed away in 2011 we’d talk about what we thought journalism would look like in the digital age. I’m honored to continue his legacy—albeit from a different vantage point. Olivia’s father was a journalist throughout his entire career. How did your parents’ advice and careers leave an impression on you? Truthfulness and objectivity were important values in my household. My parents taught us to always approach thorny issues with an unfiltered lens, and to gather as much information as possible and see all sides of the story before making a judgment call. Growing up, my brother, dad and mom were always discussing and debating things around the kitchen table. To this day, we still engage in intellectual sparring over what’s happening in the news. No matter how heated our discussions get, we all come out better informed. Your career has centered around two things that you are passionate about: journalism and technology. What’s your advice to others looking to do the same? Be patient as you grow your career. The path isn’t always going to be obvious or linear, and sometimes you need to wait for opportunities to emerge. I feel incredibly lucky that I found something I’m personally passionate about, and that I’ve had opportunities at Google to pursue it. However, there were times when my career wasn’t accelerating as fast as it could have. I almost jumped off of the track that I was on so that I could grow my career in a more traditional sense. I learned to be patient and wait for the right opportunities. Sometimes I waited longer than I would have liked, but in the end it all worked out. Olivia as a baby with her father. My mom is my role model. She built a career as a lawyer and worked throughout my entire childhood, but I never felt for a moment that I wasn’t getting enough time or attention from her. l look to her for guidance as I try to follow a similar path and balance raising two young daughters with work. When I have tough days I call my mom, and she is able to give me the perspective of someone who had a long, successful career while raising two happy kids. I know that in the end, it’s all a balancing act, and it’s okay to try and do both. What’s one habit that helps you be successful? Right now I’m trying a new habit. I start each week with a list of three to five things that I have to get done or make progress on. These are usually long-term projects where I can add the most value. Sometimes it can feel like pushing a boulder up a hill, but that’s usually a better use of my time than just rolling pebbles around—which can be tempting! Having this priority list helps me focus my attention on moving boulders and knowing when to say no to the pebbles. And then, anything else I get done that week feels like a cherry on top! Obviously I’m a big fan of Google News. However, I’m also a fan of email newsletters that have an expert with a clear and engaging voice who curate stories. My current favorites are “The Idea” from The Atlantic, which is a weekly newsletter focused on the business of media, and The Washington Post’s “Daily 202,” which is jam packed with current events and is helpful if you want to look smart at the dinner party. Otherwise, I read novels that are totally unrelated to my job. I’m currently reading an absolutely fascinating and gripping memoir called “Educated” by Tara Westover, which chronicles the life of a woman whose family didn’t believe in western medicine or formalized schooling.